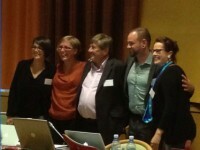 A new board was elected at the 2013 AGM: Peter Llewellyn-Jones, efsli president; Christian Peters, Jolanda Peverelli, Josefina Kalousova and Lieve Roodhooft, board members. – Congratulations to the new Board. 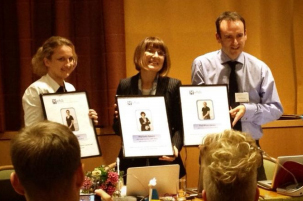 Marinella Salami, efsli president and head of the Training Department, Liivi Hollman, vice president and head of the Publicity and Promotions Department, and Paul Pryce-Jones, efsli Treasurer, ended their terms. The Assembly payed tribute to the outgoing board, Marinella, Liivi and Paul emotionally remembered the years spent together and expressed their sincere thanks for the opportunity to work for efsli.